Burglars took expensive electrical items including an Apple TV box and a 32-inch television during a raid on a house in Northampton. 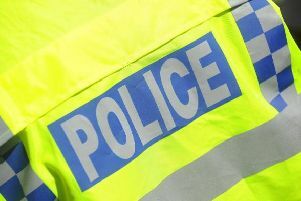 Police are appealing for witnesses after a burglary took place in Quintonside, Grange Park, at the start of the week. A force spokeswoman said burglars entered the house via an unlocked patio door at some point between 11pm on Monday, and 7.30am on Tuesday, October 6, taking a 32-inch Sony Bravia TV, Apple TV box and Think Pad laptop bag. Officers would like to speak to anyone who may have witnessed the crime or who may have any information regarding it. Police have also issued a warning to residents to ensure they lock their windows and doors, keep valuables out of sight and fit gate locks and security lights if possible. Witnesses or anyone with information about the incident is asked to contact police on 101 or Crimestoppers anonymously on 0800 111 555.